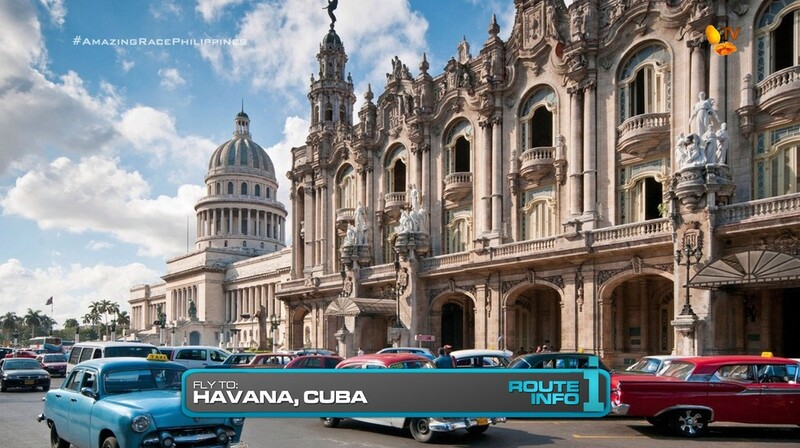 Teams begin the 5th Leg of the Race by learning that their next destination is Havana, Cuba! Teams will be on one of two Copa Air flights arriving at either 11:34am or 12:50pm. 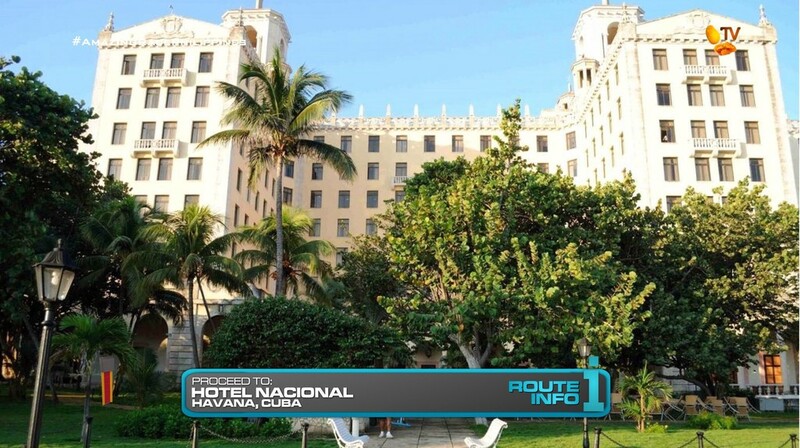 Once in Havana, teams must head by taxi to the Hotel Nacional to find their next clue. 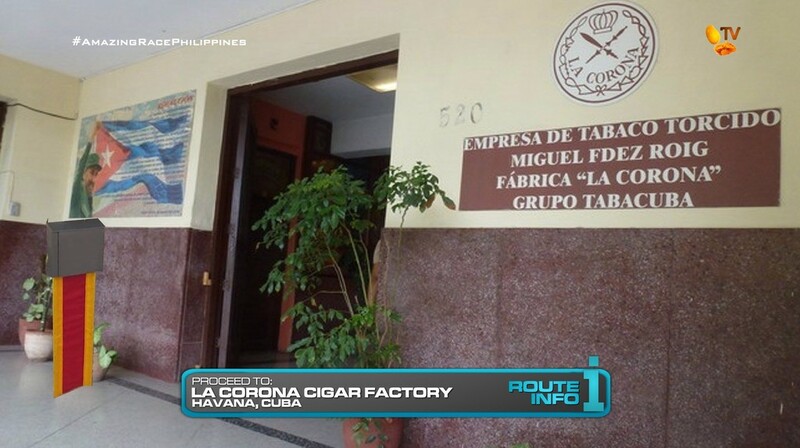 That clue directs teams to the La Corona cigar factory. And here, teams will find the Road Block: Who wants to get rolling? 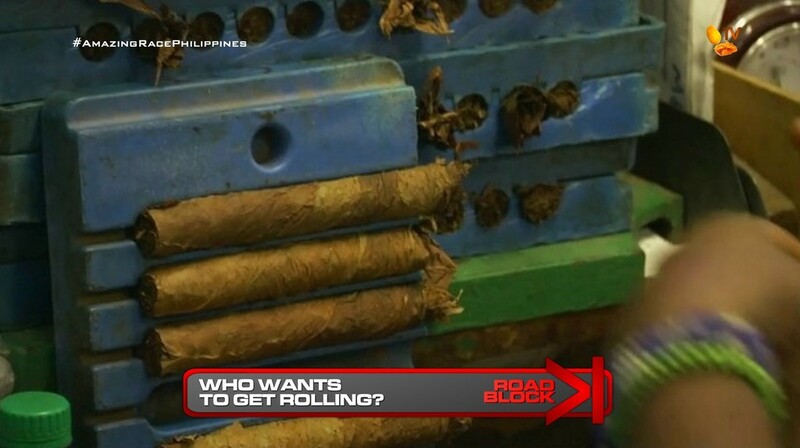 For this Road Block, teams must learn how to properly make the world-renowned Cuban cigar. After watching workers roll perfect cigars, teams must successfully and correctly make 20 cigars to fill two trays. Once their two trays are approved, they will receive the next clue. That clue reveals the Detour: Daiquiri Delivery or Paladar Purchases. 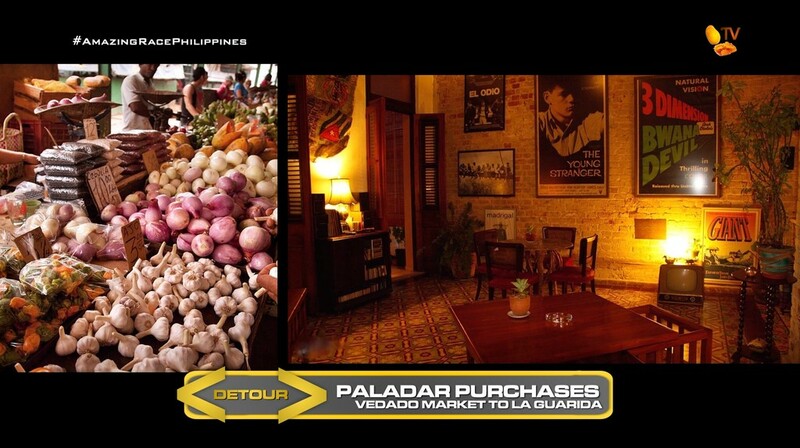 In Paladar Purchases, teams must head to the outdoor market in the Vedado District and pick-up a list of groceries they need to purchase for a local paladar, a family owned restaurant. Once they’ve purchased all the groceries, they must deliver them to the La Guarida Paladar, eat a serving of the dish they’ve just bought ingredients for and receive their next clue. 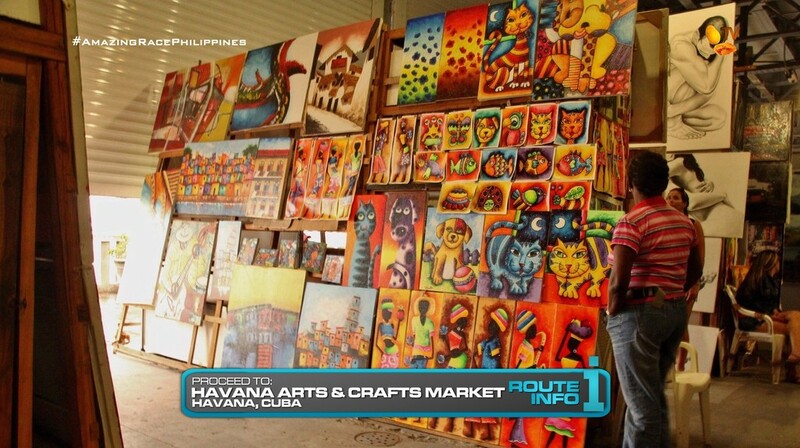 After the Detour, teams must head to the Havana Arts & Crafts Market in Old Havana. Here, they will search amongst hundreds of paintings on sale for their next clue. 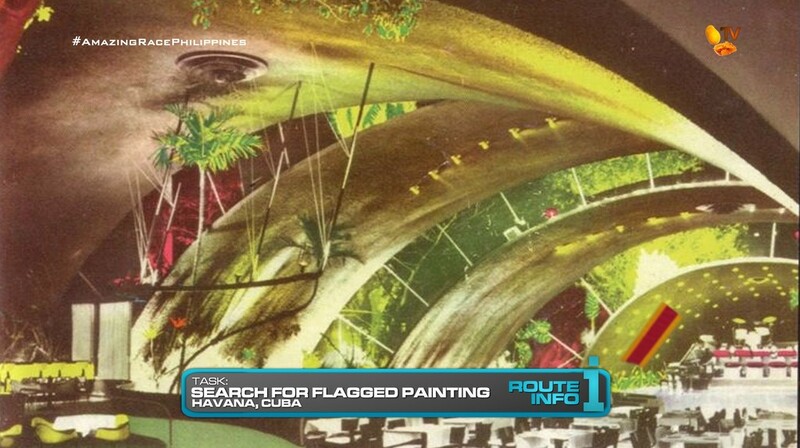 Teams will need to find that the clue is a painting of the famous Tropicana Night Club with a Race flag painted on it. They’ll need to figure out that their next clue awaits at the Tropicana. 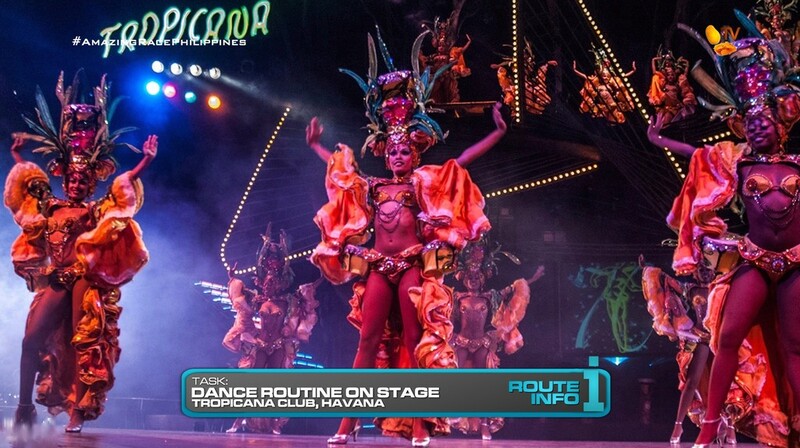 And at the Tropicana, teams must dress up like a showgirl and learn and perform a routine. After a successful performance, teams must check-in at the Rewind! 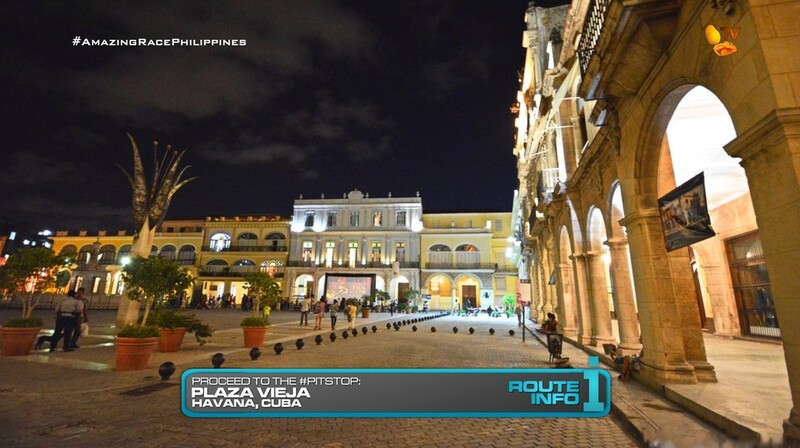 And after the Rewind, teams can head to the Pit Stop at Plaza Vieja. The first team to check-in here will win… P100,000 (?!) courtesy of Shell V-Power Nitro+. The last team to check-in here… will learn, like the 8 teams before them, that this Leg IS NOT OVER! This is a SuperLeg! One big, long Leg! And they must continue Racing! 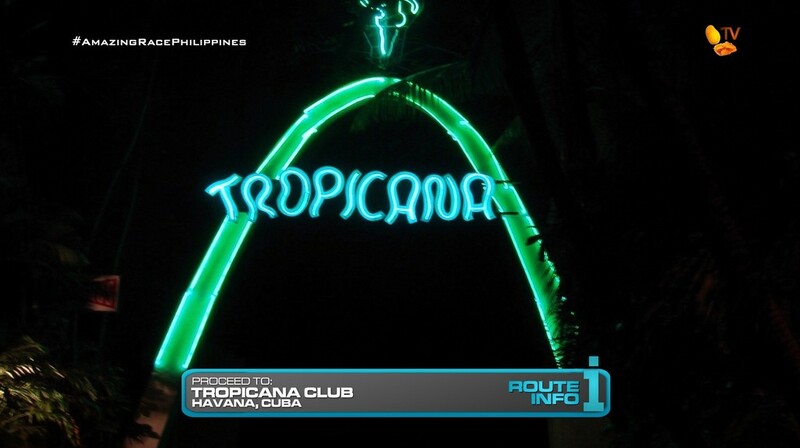 Welcome to Cuba! I definitely want a Cuba visit for TARPH. This Leg borrows from TARAu2, but I was also inspired to include a Cuban Leg in a future TARPHDME after watching Conan O’Brien’s (great!) episode he did in Havana. It was a lot of fun and it reminded how great it would be if TAR could visit. The Road Block was specifically something Conan did on his show. And of course with cigars so identified with Cuba, this Road Block is a must. 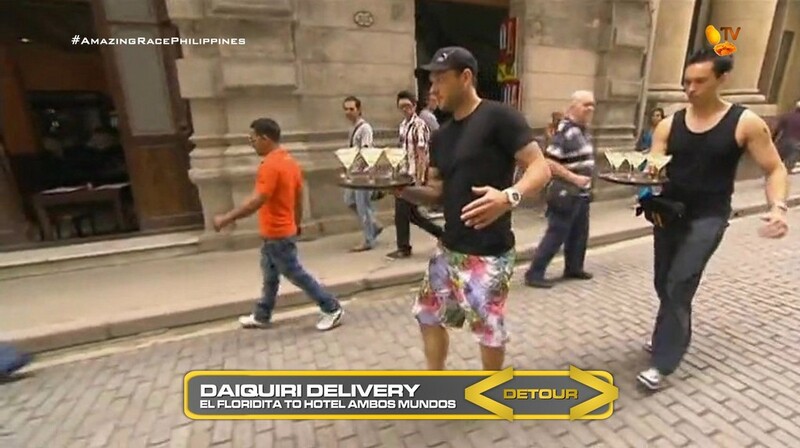 The Detour uses TARAu2’s daiquiri which is an alright task which I’ve made more tricky here. And the paladar task is also inspired by Conan and gets teams interacting with the locals as well as feature the nice family-owned restaurants. Plus, this should be an interestingly balanced Detour. Teams will be able to drive themselves between the market and paladar, but paladars could be hard to find and are usually located in otherwise nondescript buildings. Both tasks could easily present unique challenges for the teams. The painting search is a nice little tricky clue/Route Marker. Yes, they had to search a market again last Leg, but this task is also great. Having both the men and women dressed in skimpy outfits and dancing on stage at a club. Why not? Hehe. 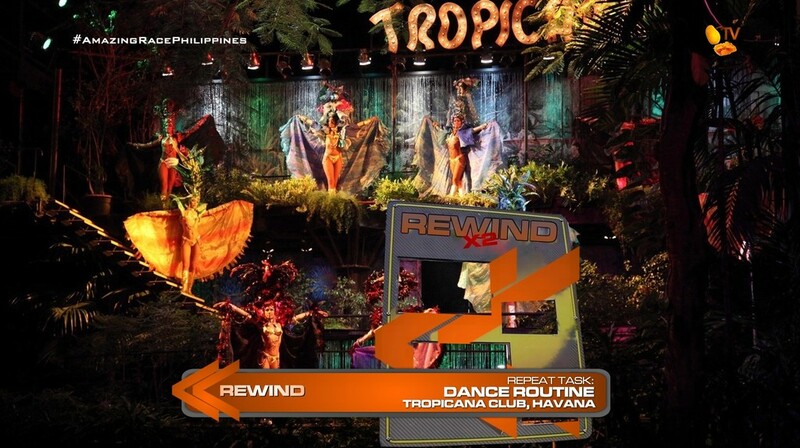 The Tropicana is another must-visit location of course. And this is a great place for a Rewind. Especially since this is a SuperLeg. And a REAL SuperLeg too. This and the next Leg will count as ONE big Leg. That fact will be very important on the last Leg. And also why the winning teams only gets P100,000 instead of P200,000. This is only the midpoint of a Leg, after all. ← Recap: Kamen Rider Drive, Episode 43 – When Will the Second Global Freeze Happen?